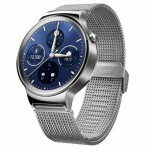 The Huawei Watch features a 1.4-inch round OLED display with a resolution of 400�400. 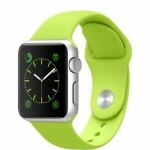 The frame is only 42mm in diameter, which � for a smartwatch � is pretty thin. It comes with 4GB of internal storage, 512MB of RAM and Bluetooth LE wireless connectivity support. In addition, the Huawei Watch includes an integrated heart-rate monitor and a six-axis accelerometer. 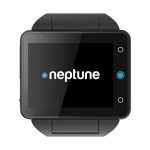 It�s powered by Android Wear but it works with both Android and iOS smartphones. The screen is designed to be �always-on� so you can glance at the time always like a traditional wristwatch. Even so, the battery will last for up to 2 days unless you�re using the watch heavily.